Congratulations to the Hyde Park House Maroon team for its Championship win on Sunday against the Framingham Eagles in the Bavis Tournament with a final score of 5-2. Both teams gave it their all in this action packed game. 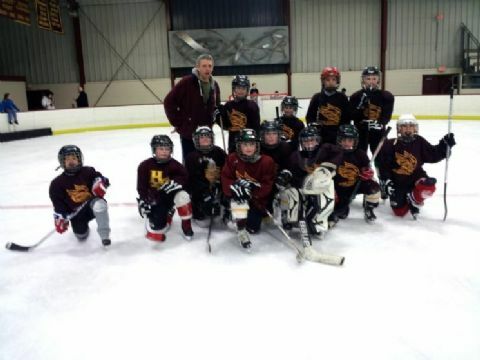 The HP House Maroon team had an impressived 6-0-1 record for the tournament. Congratulations to HPYH Mite White team for its championship victory over Winthrop Blue on Sunday during the Mite C Jamboree. 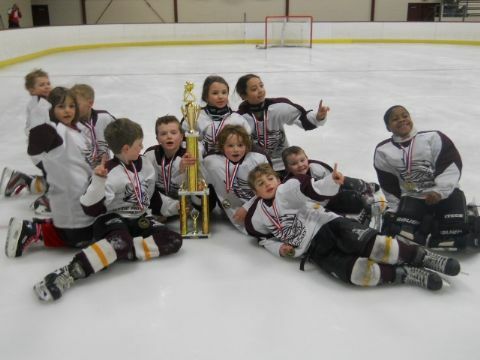 The HPYH Mite White team went 4-0 to capture the title with a score of 11-8 in the championship game.